The George Massey Tunnel is a key component of the regional and provincial transportation system, carrying an average of 80,000 vehicles each day. In response to growing concerns about the impact of congestion, and recognizing that the existing tunnel has about 10 years of useful life remaining, the Province of British Columbia has committed to constructing a replacement crossing. The Project includes a new bridge and related Highway 99 improvements between Bridgeport Road in Richmond and Highway 91 in Delta, dedicated transit/HOV lanes and a multiuse pathway for cyclists and pedestrians across the new bridge. 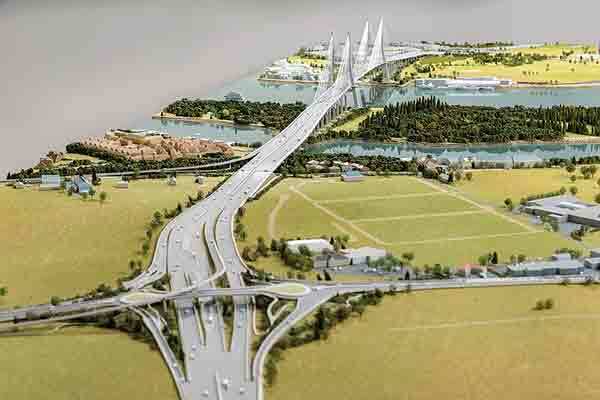 The Province plans to fund the Project at least in part with user tolls. Funding partnerships are also being explored. The new bridge and Highway 99 improvements will serve current and forecast demand for travel for many decades to come. This includes transit reliability improvements and a pedestrian and cycling pathway to help increase use of non-car transportation alternatives. The new bridge also will serve as a lifeline structure in the event of a significant seismic event. 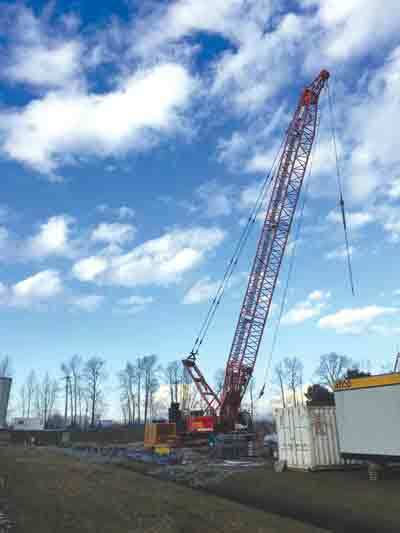 The Ministry also has invested in short-term improvements, including lengthening the Steveston off-ramp on Highway 99 at the north end of the George Massey Tunnel. This will improve safety and reduce Highway 99 congestion for motorists at this location. 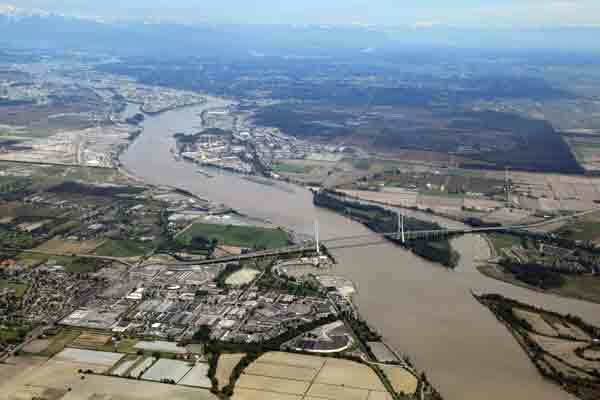 •	Improved environment – connecting portions of Deas Island Regional Park that are currently separated by the Tunnel infrastructure, improvements in Green Slough, bio-filtration of stormwater on the bridge, habitat enhancements on both sides of the bridge, lower per-trip fuel consumption, and reduced vehicle idling. In 1959, Queen Elizabeth opened the George Massey Tunnel to overwhelming support. The 629-metre long tunnel was considered an engineering marvel and was the first project in North America to use immersed tube technology. Six concrete segments, each measuring 344 feet long and weighing 18,500 tons, were constructed on a dry dock, connected, sealed and sunk into place. The Tunnel was originally a tolled crossing, with travellers paying $0.50 per trip. Tolls were removed in 1964 when the majority of the tunnel’s construction costs had been repaid. George Massey himself paid the last toll. In 1982, counterflow measures were introduced, using a reversible lane system to increase traffic flow during peak periods, which continues to operate today. Limited seismic upgrades were made in 2006, including the installation of a state of the art advanced earthquake warning system. George Massey immigrated to Canada from Ireland in the early 1930’s. Upon arriving in Ladner, Massey felt that the ferry service connecting Delta to Richmond and Vancouver was inadequate and unable to address future population growth. For nearly 20 years, Massey put his own time, energy and money into making an improved south Fraser crossing a reality. Massey’s plans for the tunnel were inspired by the construction of the Maastunnel in Rotterdam, Netherlands. At the time, no Canadian engineering firm had the expertise to take the project on. By 1956, with growing public support for a tunnel, Premier W.A.C. Bennett announced plans for construction of the Deas Island Tunnel. George Massey passed away in 1964, and in 1967 the Deas Island Tunnel was renamed in his honour to celebrate his decades of hard work and dedication in improving Metro Vancouver’s infrastructure. Construction will began in 2017, with the new bridge completed by 2022. Please visit masseytunnel.ca. for more information or to sign up to receive more information.